Dirty Martini Queen's Musings: What's a girl to do when hubby is out of the states? What's a girl to do when hubby is out of the states? She also collects baskets and a lot of high quality antiques. This home is a $2M home even in this estate mess that Atlanta's in. I was talking to Mark when I pulled up and I told him that I didn't think I was gonna go inside because things would be way out of my price range. So happy now that I changed my mind. 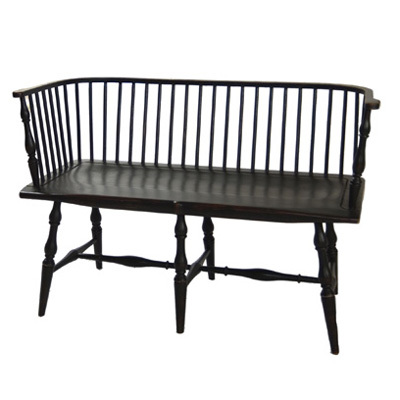 She's got this Windsor bench that is huge and also a David T Smith. The guy hit me with a $395 price tag then dropped it to $295 before I left. I'm going back tomorrow to see if it's still there because I'm gonna see if I can get him to come down just a little more. It would be wonderful in the upstairs hallway beneath my samplers. What do you think? Gorgeous!... would look perfect under your samplers. Oh, I agree! I hope you get it when you go back. It would look perfect there. Love the salt box! Wow, you have been getting some GORGEOUS stuff at estate sales lately. I wish I could go with ya!